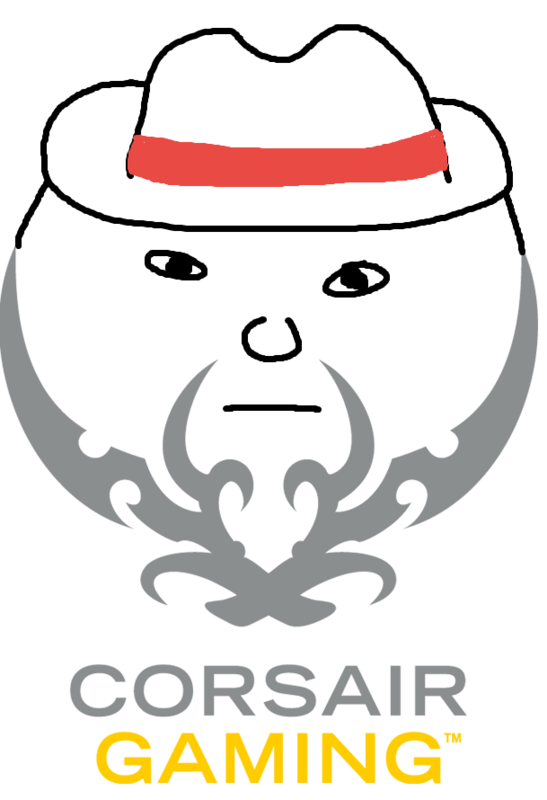 First things first: You’re probably either ambivalent toward the new logo that came with Corsair’s rebrand to Corsair Gaming, or you absolutely loathe it and think it looks like a fancy neckbeard or perhaps something more appropriate for a [ahem] lower back tattoo. Regardless, it’s not going to affect its score in this budget headset roundup, and you’ll have to make that decision on your own. One oddity, however: The old Corsair “sails” logo still flies on the USB connector. It’s like Corsair couldn't quite stomach giving up the old logo entirely. The H1500 is the cheaper of Corsair’s two offerings, wired in comparison to the wireless H2100. Apart from that distinction, however, the two are fairly similar. The H1500 certainly makes a bold statement by arriving in black and yellow, a combination not seen much in gaming peripherals. Maybe it’s just because it’s unique and stands out, but I like it. It gives the headset a decidedly high-end look, even at this relatively low price. There are some design oddities. The cable is extremely long, with no way to shorten it. That’s great for me, as a desktop gamer, but plug this thing into your laptop and you’re going to be drowning in excess cable. The in-line controls also hang slightly lower than is useful. There’s a clip on the back which you could attach to your shirt, but I wish it just hung higher. Wearing the H1500 is a treat also. The earpieces are massive, with plenty of space to completely surround your ear. I did notice a little bit of tightness on my jaw, but the headset seemed to loosen up after a few days so this might go away eventually. Like with the RAW Prism, I’m not a huge fan of the mesh ear coverings, but I can deal. At least the H1500’s mesh is covering a solid amount of padding, making this a comfortable headset to wear for marathon sessions. Unfortunately I didn’t find it a comfortable headset to listen to in marathon sessions. The H1500 isn’t overwhelmingly bass-y, which is a relief. However, the sound profile isn’t flat either, and the easiest way I can describe it is “bright.” The upper mid-range sounds like it’s been boosted quite a bit here. That’s great for guns. Playing Battlefield 4 or Spec Ops: The Line, guns cut through to the top and have a solidity to them that’s lacking in other headsets. However, it starts to tire out my ears after a while. Your ears can really only take so much unfiltered treble before the shrillness starts to wear you out. Music is flat-out disappointing. Corsair lets you tweak the EQ profile in its software, but here I ran into other troubles. 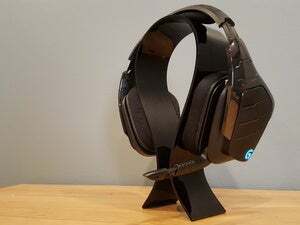 More than any other headset in this roundup, I noticed that the H1500’s drivers start to distort at moderately high volumes. Past a certain threshold I could distinctly hear rattling noises whenever the bass kicked in. And yeah, it was loud, but not so much that it was unlistenable. Another consideration: The H1500 had the most sound leakage by far of any headset I tested here, so be careful if you’re planning to use this in the bedroom or anything along those lines. The H1500’s big push is the inclusion of 7.1 Surround. 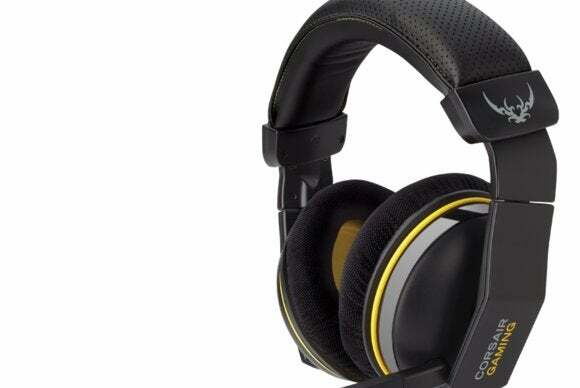 Now, no headphone is going to give you real “surround,” but I do have to say that Corsair comes close here. Is it a huge improvement over simple stereo headsets? Not especially. At this price point, however, the additional situational awareness gained by 7.1 Surround isn’t a bad thing to have, if you can put up with the bright sound profile and a slight (slight) hollowness to what would be the center channel in a true 7.1 setup. As far as the mic goes, Corsair is middle-of-the-road. The H1500 features a boom mic that flips up out of the way when you’re not using it. The microphone picks up decent sound quality, but it’s a bit too quiet. If you think the solution resides in moving the mic closer to your face, well, the boom itself is only semi-flexible. Trying to force the mic closer to your mouth is like trying to mold a baseball mitt into shape—you just keep pushing and pushing and hoping that by degrees you’re making a difference. It’s still a much better microphone than you'll find on some of the other headsets in this roundup. The H1500 is a decent start to Corsair’s gaming rebrand, but I expected better. This is a middle-of-the-road headset. It simply doesn’t compete with some of the others at this price point, in large part because of a scooped-mids audio profile and a mediocre microphone.